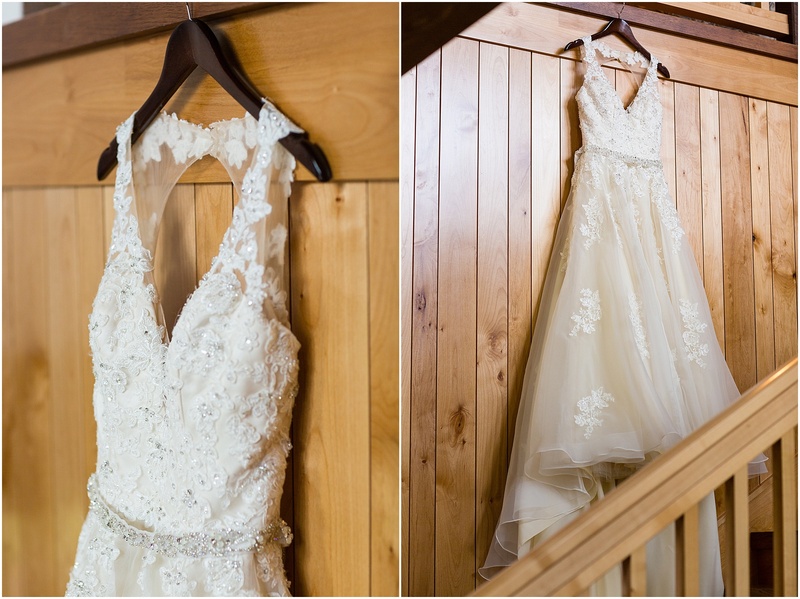 In August, Mackenzie + Elliott were married at the beautiful Rondele Ranch in Harshaw, Wisconsin. This unique, up-north location is a newer venue in Wisconsin and it has all the perks of outdoors and indoor locations. By perks I mean, a beautiful cabin and event space, an amazing house, a rustic event space, a chapel, a gazebo, a pond … the list goes on! This all worked out perfectly well when a few sprinkles fell right before Mackenzie walked down the aisle. The rain held off until we were just finished with wedding photos. Luckily there was a covered space for guests and the wedding party to scoot in to stay dry. After the rain stopped we took a few more photos around the grounds. And in the way that perfect wedding days go, there was a glorious late summer sunset for Elliott to twirl Mackenzie in :). Mackenzie + Elliott were high school sweethearts and met their freshman year at Kimberly High. From one of the speeches at their wedding, I learned that Elliott would ride his moped to Mackenzie’s house 🙂 This wedding was such a joyful celebration of these two and the start of their marriage. They were so sweet and funny and wonderful to photograph! Which would have made it a perfect wedding day no matter what the weather was like!